It is easy to remove a urine stain while it is still fresh, but urine that has dried leaves a specific odour that can take several tries before it is successfully eliminated. Before using harsh cleaning products containing chemicals that can ruin your carpet’s fibers and colours, try using natural cleaning products. Always test the cleaner you are going to use on a small, hidden area of your carpet ,even when you are going for a natural cleaning solution. 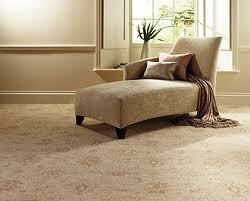 The wrong cleaning product not only will fail removing the stain, but can cause irreparable damage to your carpet. To remove the old urine stain successfully, you will need white vinegar, dishwashing liquid, warm water, eye dropper, bowl, hydrogen peroxide, baking soda, cotton cloths and a vacuum cleaner. Prepare a solution of 1 tablespoon of white vinegar, 1 tablespoon of dishwashing detergent, and 2 cups of warm water in a bowl. 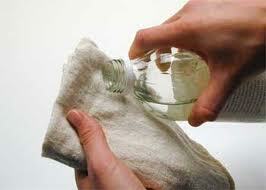 Saturate a clean cloth with the cleaning solution, and thoroughly wet the urine stain with the rag. Soak up any liquid with a dry cloth. Make sure no more liquid comes out, then apply two to three drops of hydrogen peroxide to the stain using an eye dropper. Cover the stain with baking soda and leave it untouched for overnight. Vacuum the treated area in the morning to remove the baking soda. If the stain remains after you have attempted anything – natural and commercial cleaning products, then consider using carpet cleaning services in Clapham. Utilizing professional cleaning services is the best way to ensure that the urine stain will be successfully removed without risk of damage to your carpet. It is easy to remove an urine stain while it is still fresh, but urine that has dried leaves a specific odour that can take several tries before it is successfully eliminated.